As a graphic designer, we all have to start somewhere. I did not grow overnight and I am STILL growing each day in the design field. I have always had some great books that I love to reference to whenever I need inspiration or motivation; books are a great thing to have. I think we all should have some sort of books by our side so that we can make sure to pull them out whenever needed. Graphic design is always revolving and many people have been through what you are going through. Know that you are not alone. 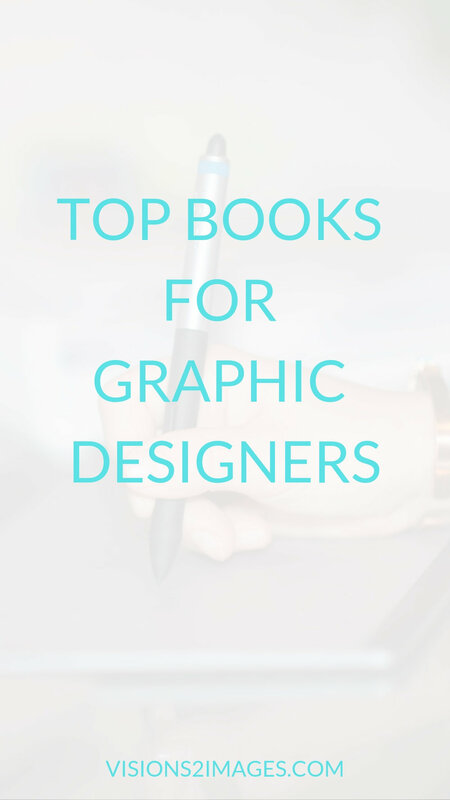 These are my top six graphic design books - enjoy. What are some of your favorite books, as a designer? Did I ever tell you that I hate the word "ROI"? Yes, I do. People use this term day in and day out. It's like the word is used to say whatever you’re trying isn't working. But can you prove it isn't working?? It's hard to see if anything is working. Let's get technical here. "To calculate ROI, the benefit (or return) of an investment is divided by the cost of the investment. The result is expressed as a percentage or a ratio. In the above formula, "Gain from Investment” refers to the proceeds obtained from the sale of the investment of interest." GAHHH what does this even mean?! Seriously. My head spins whenever people talk about ROI. It is hard to tell what is working and what isn't. I mean, you can see some statistics and understand... but ROI IS NOT GOING TO HAPPEN OVERNIGHT. In fact, it could take months or years. I am not kidding. Being a business owner is a risk in itself. Right. If you aren't willing to take a chance, then you won't ever get ROI. You have to keep growing and pushing forward to really get the ROI you want. It only works if you put forth a consistent effort. So now people can lie about ROI too? Breaking news, there is no real way to track a return on investment other than data. But even data won't show the full potential. Check this out. I hired a sales coach and am a part of her mastermind. It was a "large" investment for me. But, I knew I had to do it. I thought by joining the mastermind that I would get ROI and would make so many sales. NO, I had to do the work and move forward to get ROI. Now I am confident and can sell, so the ROI is 100% there, but the problem is it took time. Like anything does. So, you can not expect the ROI to happen magically. I always hear people tell me this for social media, branding, marketing, or whatever the avenue. But, you need to be patient and put in a lot of time and money up front before you can move forward and receive that return you’re seeking. I have tons of designer friends and know how hard it can be to find good tools for designers. Finding new and exciting things is my jam. They are all super affordable and will help bring out the creativity in you. Am I missing something that you love? Share it in the comments! Social media is so important for any business to survive. It is almost like a given for them to have it, after all if they don’t are they even legit? There are so many platforms, questions, and problems with social media. Do you have time to be on it an know each platform? I bet not. I don’t either. There is something about having great stationary, I love being able to write in doodle. Not everything should be done on the computer. When is the last time you took sometime to write in a journal? Or notebook? Owning a business this is critical for me! I need to constantly have notebooks. Here are my top stationary picks. Is Your Brand Hurting You? People often don’t know what branding is and why they need it. I am here to tell you that your branding can be hurting your business if you are not doing it correctly. YES, that is true. You are reading that right. We have gone over what branding does and how it helps you, but let's talk about how it may be HURTING YOU. Are you not getting enough business? If you are not getting enough business, it is more than likely because you do not know how to attract the ideal client. This issue spans everything from the colors you use to your fonts to everything in between. Do you know who your audience is? This element is one of the most important to remember to be successful and grow. You need to get as specific as possible and ask a ton of questions. This narrowing should be the first step to any business. Whenever you go through a branding phrase, you should always have a strategy in place with a professional. Are you consistent? You want to be clear on what you offer and consistent in everything. This aspect is what I preach most to my clients simply because they want the user experience, and they will get it when you have your audience defined and can carry it through everywhere. Are you giving your audience quality? If you are not giving the customer the experience and the consistency as above, are you really taking care of your business/brand? Always take care of your customer so that they will return and refer others to you. These quick facts can help you get your branding and business out of the dog house. Contact us today for your free one-hour consultation. Branding is one of those words that everyone cringes at when they hear the word. They either get it or they don't. They think it is merely a logo, but it is so much more than that. To understand branding, you need to grasp a few points about how to establish it first. Understanding and defining your purpose is essential. Why do you do what you do? What is your unique value? What makes you different than the person down the street from you? Every brand needs a narrative story. Set the core values and tell a story about your brand. Live it, breathe it, embrace it. Think of the big name brands and how they convey the same story in every location, packaging, etc. These are business goals for the next six months, twelve months, etc. You want your target to include branding; get as specific as possible when developing these goals. If you do not know how you are going to achieve those goals, then it won’t ever happen, and it is a waste of time and money. Content marketing is critical for your branding, voice, and storytelling. It is what sets you apart. Be authentic, real, and true to your purpose. Exhibit consistency not only with content, graphics, images, etc. but also in the way you conduct every aspect of your business. This action will improve the quality and value of your service, which will help you reach profitability quicker. These quick tips can be used for your business and branding as you think about taking it to the next level. Be sure to let us know how you are bringing your brand to the next level in the comments below. Being an entrepreneur has a lot of up’s and down’s. It requires a lot of knowledge and up keep. You have to constantly be growing each day, otherwise you might fall behind. I do enjoy podcasts and audio books, but every now and then I do enjoy a nice reading book., It’s a great way to sit down at night and unwind. Reading really is good for the soul. Here are some of my top favorite entrepreneur books. Tapping into more than 33 years of small business expertise, the staff at Entrepreneur Media takes today’s entrepreneurs beyond opening their doors and through the first three years of ownership. This revised edition features amended chapters on choosing a business, adding partners, getting funded, and managing the business structure and employees, and also includes help understanding the latest tax and healthcare reform information and legalities. Girl Code: Unlocking the Secrets to Success, Sanity, and Happiness for the Female Entrepreneur Women around the world have responded to Cara Alwill Leyba’s Girl Code with a resounding YES. Companies like Kate Spade and Macy’s have brought her in to teach “the Code.” Inc. magazine named Girl Code one of the “Top 9 Inspiring Books Every Female Entrepreneur Should Read” alongside Lean In, #Girlboss, and Thrive. The Power of Broke: How Empty Pockets, a Tight Budget, and a Hunger for Success Can Become Your Greatest Competitive Advantage The instant New York Times bestseller from Shark Tank star and Fubu Founder Daymond John on why starting a business on a limited budget can be an entrepreneur’s greatest competitive advantage. Daymond John has been practicing the power of broke ever since he started selling his home-sewn t-shirts on the streets of Queens. With a $40 budget, Daymond had to strategize out-of-the-box ways to promote his products. Luckily, desperation breeds innovation, and so he hatched an idea for a creative campaign that eventually launched the FUBU brand into a $6 billion dollar global phenomenon. But it might not have happened if he hadn’t started out broke – with nothing but hope and a ferocious drive to succeed by any means possible. Get Over Your Damn Self: The No-BS Blueprint to Building a Life-Changing Business Romi Neustadt is passionate about helping others build lucrative direct sales and network marketing businesses that help create lives with more freedom and flexibility, greater purpose and a lot more fun. In this book she offers you the same direct, no-BS coaching she’s given to tens of thousands to help you acquire the skills to build this sucker and teach your team to do the same. And, equally important, she’ll work on your mindset so you stop over complicating it all and stop letting the negative voices in your head win. She Means Business: Turn Your Ideas into Reality and Become a Wildly Successful Entrepreneur Are you ready to turn your ideas into reality and build a wildly successful business?There has never been a better time to say yes! With a computer and an Internet connection you can get your ideas, messages, and business out there like never before and create so much success.In this book, Carrie Greenshows you how.Carrie started her first online business at the age of 20—she knows what it’s like to be an ambitious and creative woman with big dreams and huge determination . . . but she also knows the challenges of starting and running a business, including the fears, overwhelm, confusion, and blocks that entrepreneurs face. Everyone wants more traffic to their website; it can be tough to do. You need to know your audience and have a good brand behind your business. Once you have those elements identified, the ways for increasing your traffic will be easier. Here are the top 5 ways to increase your website traffic. This step is the organic way for traffic to your website. This way relates to how people are finding you and clicking through your links. They are typing in keywords organically and land upon your links. Speaking of SEO (Search Engine Optimization), write for your readers and not for Search Engines. This option is a quick traffic source, and bloggers can easily find their ways around it. This source sends traffic to your website from links on other websites. Generally, you can easily garner this through blog commenting and guest posting. Commenting on CommentLuv enabled blogs can significantly boost this traffic source. Other referral resources are forums, Q&A sites, mentions on other sites, etc. If you create highly engaging content, readers will link back to your posts, and that will bring you referral traffic. 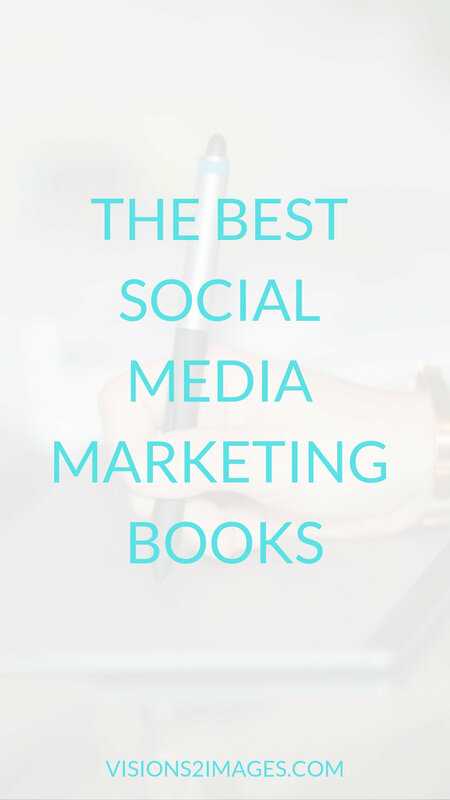 Social media is an excellent way of gaining traffic period. The best part is that it saves comments, links, guest posts, Q&A, reviews, and so much more. It is one of the best ways to build your business and website. Know that, with everything on social media, you cannot change or adjust it, so it is very much real. Tip: do not worry about the numbers, focus on the engagement and discussions happening. This choice is when people directly type in your website URL. That means not searching on the internet, but rather a direct URL. They find this URL when you give it to them such as on your business cards, invitations, calendars, phone calls, brochures, etc. Email lists are a fantastic way to lead traffic to your site, as long as you use them correctly. There is nothing worse than an email that is 100% about sales. Each time you are sending out an email, include URLs to your website. Building a business online can be challenging, but there are many wonderful tips and tricks to get it going. I have helped over twenty companies grow and develop their online platform. This fact is why you should hire a professional to make sure that you are seen and by the right audience. Branding is a term that many people do not understand. It is more than a logo. We need to understand more of what branding is so that our businesses can be successful and grow. Your brand is how your audience portrays you. It is everything from your voice, colors, logo, fonts, and so much more. 1. Influence: It is how your audience feels when you work with them and the feeling that you give them. 2. Visuals: This identifier is the logos, icons, patterns, and images so that your audience can identify you and create brand awareness. 3. Foundation: This mark is the mission, vision, and values that are behind a brand. Audiences like to feel a connection whenever they invest. 4. Words: This step is the copy that you convey on blog posts, videos, podcasts, and even advertising copy. This part consists of how you speak to your audience and connect with them!! So why is branding so important? 1. It Tells Your Story: It is a visual way of storytelling and a way to communicate with your audience. It defines who you are, what you do, and why you do it. Think about the brands that you invest in and see every day. You buy into those because of their brand. This action lets your audience know that you are professional and have values in your business. Are you willing to invest in a brand if they haven't even invested in their branding? It doesn’t matter where you are with your business; you need to have a clear vision for your audience and employees. This measure allows all your vendors and employees to be successful and keep the branding on track. Think about your favorite brand and how it has elicited recognition. Mine is Apple. I get super excited and butterfly feelings with any product associated with their brand. A strong brand will be remembered and shared with others. Branding is the single most important element for any business to be successful. Let me know, does your brand have all of these things? If not, click below and contact us for a free consultation today.